This traditionally styled chest features a hidden drawer and five regular drawers, providing space to store both bulky and light clothing items. Square tapered legs, dentil molding, and silver hued knob pulls and handles bring sophistication to the piece. 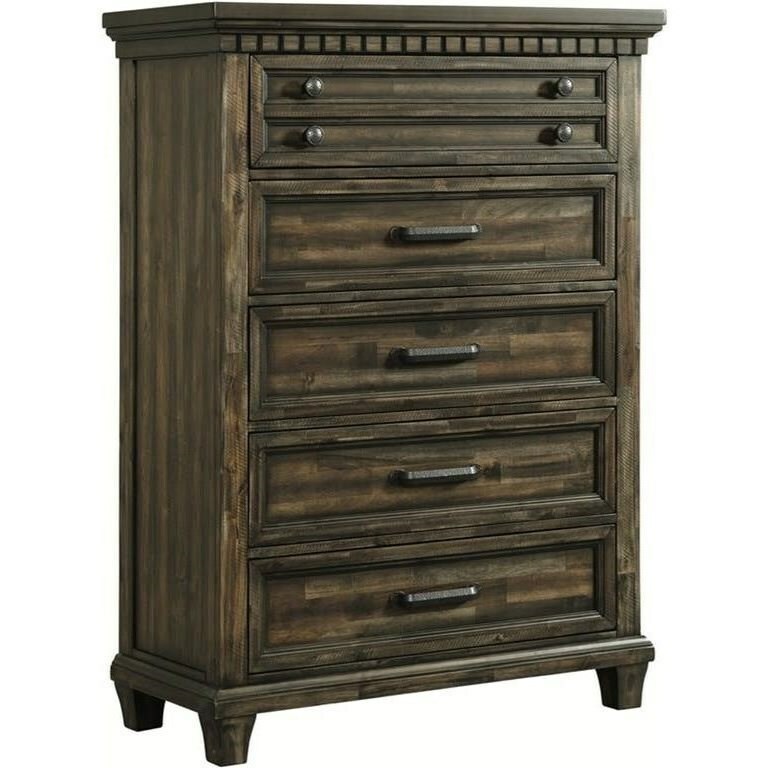 The McCabe Traditional Chest of Drawers by Elements International at Miskelly Furniture in the Jackson, Pearl, Madison, Ridgeland, Flowood Mississippi area. Product availability may vary. Contact us for the most current availability on this product.